Quddies.com.mt allows you to search its repository using a number of criteria. An open search box is available in the header bar, which allows one to search all data within the depository by free text (partial or full words). The quickest way to find a particular mass time is by using the standard 'Find a mass' search function that is visible on all pages of the site on the left hand side. Select a region or a particular locality from the drop down list. All locations are selected by default. A particular day of the week, including Ecclesiastical Feast Days and Public Holidays that do not fall on a Sunday can be selected from the preset list. All days are selected by default. One can custom choose the time of their preferred mass or even select a particular time of day (morning, afternoon, evening). Note that by selecting the former, in conjunction with any other search feature, you are greatly restricting your results. All mass times are selected by default. Mass in mainly celebrated in Maltese throughout the islands, but celebrations are also conducted in English, Greek, Latin, Italian, Arabic, French, German and Tagalog. For all non-Maltese mass searches, we strongly recommend you use this aspect on its own (ie not in conjunction with other search features). By default, all celebrations irrespective of their language are selected. By de-selecting (click to remove tag) Mass Celebrations, on can search for churches and chapels where mass is not celebrated. Once the required criteria have been selected, simply press on the "Search" button to view the results. It is always advisable to use the least amount of criteria for the initial search and add more to fine tune the results. The "Find a mass" search feature does not clear previous criteria and manual resetting is needed when affecting a secondary different search. Results might be spread on a number of pages. 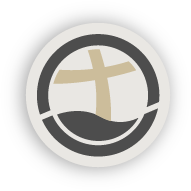 By clicking this button (particularly on a portable device such as smart phone, laptop, notebook or tablet), Quddies.com.mt will establish your current location on a map, and list all churches and chapels in your vicinity by distance, providing you details of the next mass time (where applicable). By clicking this button, all churches and chapels across the islands are listed by location in alphabetical order. By clicking on a particular location, the dedication of these churches and chapels are displayed and their mass times (where applicable) can be accessed by further selection.